Nine years have passed since the Asian dragon opened its doors to Spanish citrus fruit. In spite of everything, exports to this country continue to be small. Around thirty Spanish companies have managed to “infiltrate” a market dominated by Americans, Egyptians, South Africans and Australians in this category. Led by Oliver Huesmann, a consultant for Asia, our journal, Fruit Today euromagazine, along with a group of exporters and professionals from the sector, spent a week travelling around the country’s trade areas and some of its wholesale markets. The initiative for this project, called “EuroFRESHPRODUCE”, intends to give value to Spanish citrus fruit production thanks to its high quality and food safety standards. Although the bilateral agreement between Spain and China to export citrus fruit was signed in 2007, shipments did not start until 2014. 10,134 tonnes of exports were reached in 2016, with a value of 11.3 million euros. In 2015, the business turnover was of 3.4 million euros and it tripled 2014’s value: the first year produce was sent. “Even so, in spite of its potential as a customer, sales to China have not taken off as much as was expected,” the consultant qualifies. “Spain needs to create a brand name and promote it in the country and deal with a market of this size as a group together, where nobody is a rival of anybody else due to the magnitudes we are talking about and the economic growth that the entire country is experiencing, estimated at 6% or 7% between 2018 and 2021,” Huesmann stresses. 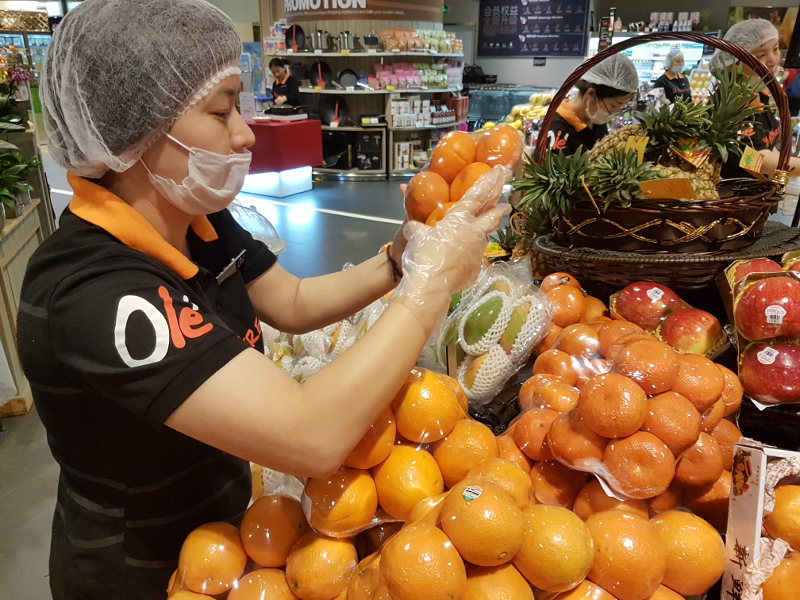 Spain is the fifth supplier of oranges to China, with a market share of 5.4%, behind South Africa (33%), USA (31%), Australia (21%) and Egypt (9%). In mandarins, we are the fourth supplier with 2,138 tonnes in 2016 and a market share of 6.8%. 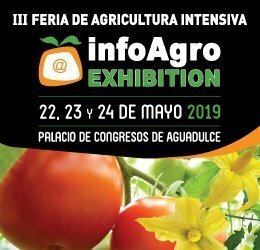 The main stumbling block for the entry of Spanish fruit is the harsh protocol demands regarding cool treatment (for Mediterranean fruit fly) that the fruit must receive. The established requirements are 1.1º or less for 15 days running; 1.7º or less for 17 days and 2.1º or less for 21 days. This cooling process is carried out during the shipping and is a serious disadvantage as it is very likely that the produce will arrive with blanching or pitting problems. In spite of this, the knowhow of companies with a long tradition have challenged this and the fruit mostly arrives in good conditions (it is possible to see brands such as Peica, Motilla or Bollo, amongst others). Exporting to China is a difficult business, where in addition to sending the best goods (which must be taken from the produce to be sent to Europe), a person is needed at the destination to supervise the operations. The most successful companies know about this need and are creating subsidiaries or branch offices in the country. This is the case of the Valencian company, SanLucar, which will have a permanent representative there in a few months’ time, or the case of Natural Hand, with significant presence over long periods. According to the data collected on site, through the different markets and importers contacted by this journal, Spanish oranges are in a middle position, between the leader Sunkist and Egyptian oranges, which compete in the price segment, way below the Spanish ones. Sunkist has the brand awareness that Chinese consumers demand and it also has the right amount of brix for the sweet-tooth of Oriental consumers (around 16 brix degrees). Oranges from Egypt usually have between 11 and 12 brix and they are used at times for juice. Spanish oranges, which could compete in price with the American ones, “do not have the same brix degrees as American oranges, only reaching between 13 and 14 degrees”, market sources from Shanghai told us. Clearly, according to the data collected, Chinese consumers need a reference brand as is shown by Sunkist. If the brand offers the quality and the sweetness that is appreciated, the price takes a back seat. The Chinese market appreciates the Navels, the Valencias, and in June, it was receiving Chisletts. Although China is an important citrus fruit producer, with almost 30 million tonnes, mainly mandarins (19,300 tonnes) and its harvest basically coincides with the Spanish calendar, Huesmann asks: Can we afford not to be present in China, a country with 1,300 million inhabitants and that will be the first economy in the world in 2030? The Chinese middle class, with 50 million new members every year, is ready to buy imported food since it provides a much higher level of food safety than local production, which has been peppered with food scandals. Only 10% of this middle class trusts the food produced in the country. The salary structure throughout China indicates an important grow, which in a few years’ time will mean 30% of the world’s middle class will be in this country, with the subsequent increase in their spending power. The Chinese market is familiar with imported produce from the EU, America, Australia or Africa. Between 60% and 80% of the underground water in China is polluted and the country only has a 6% water supply for 20% of the world population. Only 10% of its land is suitable for farming, due to the deserts and the Himalayan mountain range. This situation explains why in 2030, it will import 60% of the food it consumes. Another of the opportunities generated by the country is the investment in production (some Dutch companies have already started doing this) along with the passing on of technology and knowhow, an aspect where the Chinese government has given economic concessions.